Home Business Monaco Helicopter Company Monacair Turns 30: What’s Next? After 30 years at the top of their game, luxury Monaco helicopter company Monacair is looking to further enhance its VIP airport transfer services. Monacair, the Monaco-based helicopter company of choice for the Monégasque Princely Family and visiting Heads of State, is this year celebrating three decades of providing VIP helicopter transport. Founded in 1988, the company offers transfer services between Monaco heliport and Nice Côte d’Azur Airport in France, as well as helicopter tours of the French Riviera and private flight charters to all destinations in 500km radius of Monaco. “As the sole operator of the helicopter transfer between the Principality and Nice Airport, Monacair is the first and last thing visitors experience in Monaco. This puts upon our shoulders the responsibility to deliver a unique and unforgettable service at an affordable price. Flights to and from Nice Côte d’Azur Airport, which is located 18 kilometers from Monaco, take just seven minutes. Monacair’s partnerships with airlines are key to the helicopter company’s success with this route, by allowing passengers to leave Monaco only one hour before their airport flight. Indeed, Monacair customers can obtain the boarding pass to their final destination whilst still in Monaco, have their luggage checked-in to the final destination, and enjoy a direct transfer to the boarding gate. A stress-free and time-saving experience! The speed and convenience of this flight has led Monacair to operate up to 48 transfers per day, with a helicopter departing every 15 minutes between 8.30am and 8pm.This enables residents and visitors alike to benefit from what can be considered as Monaco’s very own airline service. 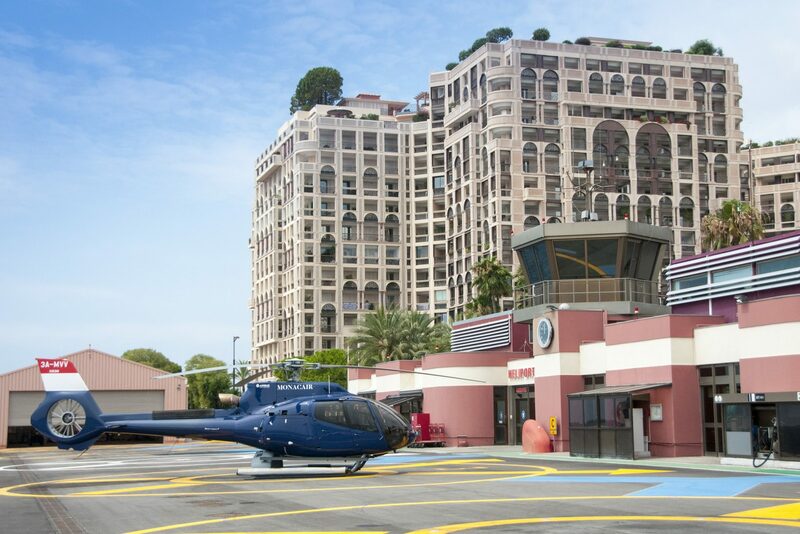 Passengers arriving at Monaco heliport are even chauffeur-driven to their final destination and enjoy the same opulent service when they leave. A plethora of prestigious events hosted in Monaco, such as the Rolex Monte-Carlo Masters, the Monaco Yacht Show and the F1 Monaco Grand Prix, generate a considerable amount of business for Monacair, due to the simple fact that the company allows attendees to enjoy these majestic events longer than if using any other means of transfer. 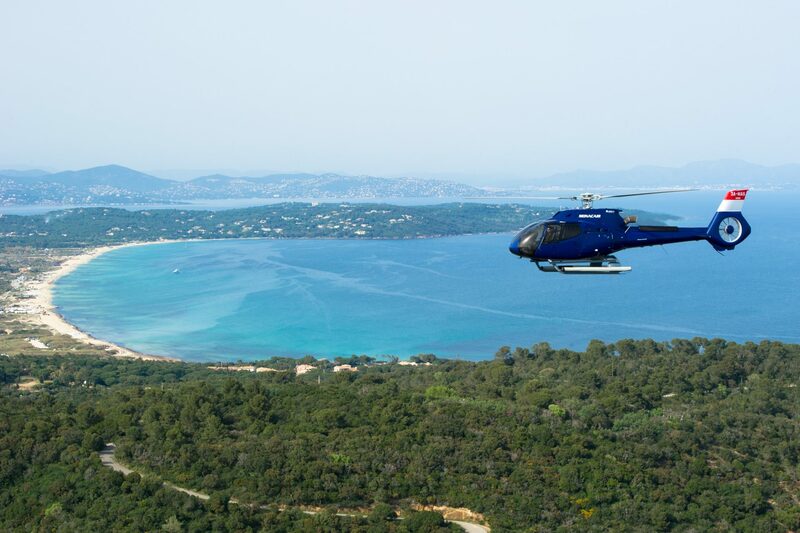 In a single day during the 2018 F1 Monaco Grand Prix, the company’s six-passenger capacity H130 helicopter transferred 1,200 passengers between Nice Côte d’Azur Airport and the Principality. Monacair currently counts Air France, British Airways, KLM, Emirates, Qatar Airways, Turkish Airlines, and Air Corsica among its main airline partners, but intends to build on this success by nurturing partnerships with more airlines in the coming years. “Our airlines partners are extremely satisfied with Monacair’s transfer service. It allows them to add a new country to their service offer while providing an unforgettable pre and post-flight VIP experience. Within its state-of-the-art fleet of 33 helicopters, the company boasts 11 different types of aircraft and is renowned for providing safety and comfort. The open-design cabin of its Airbus H130 offers passengers a 180° panoramic view, making it the perfect option for scenic tours over Monaco and the French Riviera. While its enlarged hold allows space for six pieces of luggage, in addition to cabin luggage, making it the perfect choice for airport transfers. The Leonardo AW109 has a maximum speed of 311 kilometres per hour and a luxurious interior, making it ideal for private charters.